With Back-to-Basics Checking from Investment Savings Bank, you receive personal or business Back-to-Basics Checking and unlimited check writing privileges. Funds on deposit are insured by the FDIC, and there is no minimum balance requirement or monthly service charge. 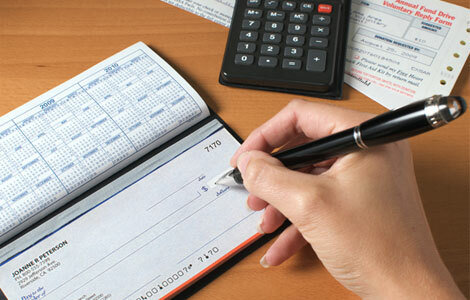 Write all the checks you need to pay bills, make purchases, or for any number of personal or business transactions. Available to any individual, sole proprietorship, or non-profit corporations, partnerships and for-profit corporate entities. Certain restrictions may apply. Minimum deposit to open account is $25.00. This is a Non-Interest-bearing transaction account. Funds are easily accessible (subject to Funds Availability). An unlimited number of transactions may occur each month without a per check charge. Avoid monthly service charge on checking account. Customer may be eligible for a VISA Debit Card. Back-to-Basics Checking can be the perfect deposit vehicle for young people just starting out, who are new to banking or who only need the most basic checking account. Safer than carrying cash with you to pay for purchases, ISB’s Back-to-Basics Checking lets you have discreet and safer control of your funds. Use Back-to-Basics Checking and as an account holder, you may be eligible for a VISA Debit Card.